Located less than 50 miles from Downtown Los Angeles, Jurupa Valley seems like an ideal place for those who want to get away from the chaos of a big city. Moving to Jurupa Valley, means becoming neighbors with people who love living in a quiet and a peaceful place in a Southern California, which, perhaps surprisingly, is pretty close to some of the most important hubs of L.A.
Apart from being fairly close to the center of Los Angeles, this city is also very well connected to other major cities in this part of the state. Anaheim, the city where Disneyland is located, is just 30 miles or so away from Jurupa Valley. And if you need to get to Long Beach, just keep on driving straight from Anaheim a few more miles and you’re there. Of course, a good location is not the only amazing thing about Jurupa Valley. This city is also a very fertile ground for business, which is why many people are deciding to start their own companies there. And if you’re looking for a job, the chances are that you will be able to find a well-paid one. Whatever the reason may be why you’ve decided to move to Jurupa Valley, now it’s time to actually make it happen. And for that, you need our help! We are a Jurupa Valley moving company that can take care of literally any moving task. Don’t trust us? Well, then you ought to take a look at some of the things our Jurupa Valley movers can do for you! Residential moving service in Jurupa ValleyIf you’re moving from one place in Jurupa Valley to another house in the same city, just give us a call at (415) 579-2747 and we’ll take care of the move right away. The reason is that we’re a local company of movers, so it won’t take us too long to come to your place. State-wide residential moving serviceIf you’re moving to Jurupa Valley from some other part of California, our movers can help you out. No matter where your stuff might be, we will come to your place, help you pack everything, and safety transport your things to the new location in Jurupa Valley. Long-distance moving serviceIf you’re moving from a place in another state in the Western USA, there is no need to leave your stuff behind. Our movers can pick your things and deliver them to the doors of your new home in Jurupa Valley. Office equipment move. We understand that your office stuff is your money-making gear, which is why our movers gonna take special care to transport it to your new place. Large item moving. If you need someone to move machines or some other items that are large and heavy, our team of movers is at your service. Storage services. If your new office is not yet ready, you can leave your business equipment in our storage facilities. They’re secured and climate-controlled, so you got nothing to worry about your stuff. The best thing is that we’re an insured moving company, so even if something happens to your items, you won’t lose any money. The distance between Jurupa Valley and Disneyland is approximately 30 miles. California State Route 60 and Interstate 15 go through the city. Ontario International Airport is just eight miles away from the center of Jurupa Valley. Jurupa Valley belongs to Riverside County. The city of Jurupa Valley is made of 15 neighborhoods. Jurupa Valley borders the city of Riverside, Fontana, Ontario, Eastvale, and Norco. The average low temperature in Jurupa Valley never goes under 40°F. 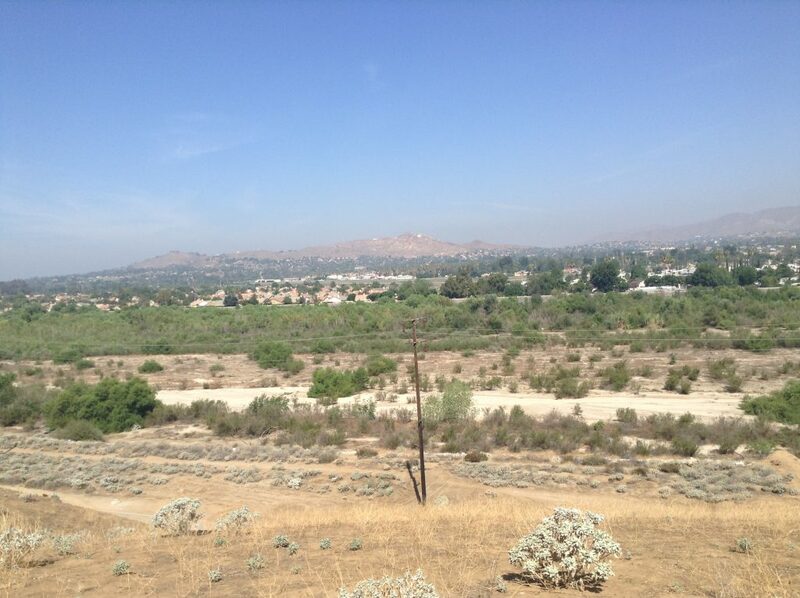 There are nearly 110,000 people who call Jurupa Valley their home. Average real estate price per square meter is about $2,350. An average resident of Jurupa Valley spends about $135 a month on basic utilities like electricity, garbage, water, and so on. Average net salary in this city is just below $3,000 per month. Moving from one city to another can be super-stressful. This is something our movers can tell you from our experience. We’ve been in the business of moving for years and we’ve seen people losing a lot of nerves, time, and even money. But, there is a way to avoid all these things. The trick lies in planning ahead. If you make a good moving plan, nothing will go wrong. And that’s something we can help you out with. Give us a call at (415) 579-2747 or send us an email and we’ll give you a free moving quote, so you’ll know how much your move is gonna cost. Furthermore, our movers will be glad to provide you with many other useful moving tips and hacks, free of charge, of course. Just used California Movers for a move from Sacramento to San Diego! Vlad and Sergey were both great. They were on time and efficient. Gorgeous moving day with our client! California. Great move from the Bay Area to Carlsbad, San Diego! We used California Movers to move from the Bay Area down to Carlsbad, San Diego Area. We got several bits for moving and California Mover blew everything out of the water. Great move from Cupertino to Austin, Texas! We used California Movers to move from Cupertino to Austin, Texas. They were super professional, very fast and efficient. I definitely recommend them again! Great review from Dave - our new client! Good morning! My name is Dave. Just had California Movers move a contents garage from Southern California to Northern California. I had a Sergey and Vlad move it. They did a great job. Picked it up on a Sunday & delivered on a Monday morning by 10:30 we're done. Great job! We will use them again! I just moved to LA from SF with the help of California Movers. They definitely have a great service! Claire booked moving from 2673 greenwich st sf to 780 chestnut st sf #3. Our manger Nikita helped to organize long moving. Our strong mover Michael disassembled, assembled furniture and loaded all the personal properties to 16ft track. Everything was delivered on time and in safety. Alexia booked moving from 2338 Franklin St, San Francisco, CA to 1321 Taylor St, San Francisco,. Our manger Robert helped to organize long moving. Our trustworthy mover David loaded all the valuables to 20ft track. Everything was delivered on time and in safety. Lily booked moving from 3201 Octavia St, San Francisco, CA 94123 #304 to 99 Rausch St, San Francisco, CA 94103 # 216. Our manger James helped to organize local moving. Our trustworthy mover Bill loaded all the valuables to 16ft track. Everything was delivered on time and in safety. adrian booked moving from 2701 Mason Ln, San Mateo, CA 94403 to 46 Glenbrook Dr, Hillsborough, CA 94010. Our manger Michael helped to organize long moving. Our competent mover Michael packed and loaded all the things to 26ft track. Everything was delivered on time and in safety.